Dance fans are likely to know Hubbard Street Dance Chicago (HSDC) for its reputation as a world-class professional dance company, but a growing number of community programs are aimed at making dance accessible and available for all. As the longest running program of its kind in the Midwest, HSDC has a highly successful Parkinson’s Project focused on improving mobility and independence for individuals with Parkinson’s Disease. Parkinson’s Disease is a progressive degenerative movement disorder that causes muscle rigidity and slowed movements, tremors and postural instability. 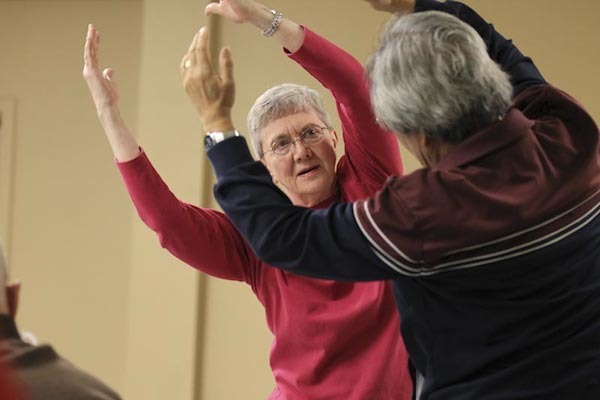 While there is currently no cure, significant evidence favors participation in specialized dance programs to ease the symptoms and possibly slow the progress of Parkinson’s Disease. Hubbard Street Parkinson’s Project participants at the Hubbard Street Dance Center. Photo by Todd Rosenberg. Under the umbrella of Adaptive Dance Programs, Hubbard Street will expand the Parkinson’s Project to include two new pilot programs on site at its studios in Chicago’s West Loop this summer: The Autism Project for youth grades 1-6 on the spectrum, and Physically Integrated Dance for youth ages 8-16 with physical disabilities. The content of the new programs will be largely decided by committee members at Hubbard Street, with insight and input from Joshua Krasne (Visiting Assistant Director of the Resource Center for Autism and Developmental Delays at the University of Illinois-Chicago, Susan D. Imus (Chair, Columbia College Chicago Department of Creative Arts Therapies), and organizational support from Rush Orthopedics, Great Lakes Adaptive Sports Association, and the Ann & Robert H. Lurie Children’s Hospital of Chicago. However, even with all those academics involved, Hubbard Street maintains that these classes are not being offered for the purpose of scholarly research. The committee is split on whether or not to create inclusive programming combining children from special populations into conventional classes in the program; Humphreys eventually sees a future for both blended and specialized classes. Having a child on the spectrum, she understands first hand that the type of experience one chooses for his/her child is a personal decision based on what the parent and child’s goals are. Sarah Cullen Fuller, Hubbard Street alumna and founding teaching artist since 2007 for the Parkinson’s Project, with Adaptive Dance Programs participants at the Hubbard Street Dance Center. Photo by Todd Rosenberg. For the time being, the pilot program will be focused on two specific populations, but HSDC isn’t limiting the class to narrow specifications of how Autism or physical disabilities are defined. And if the pilot program goes well…. but it will go well. Humphreys has no doubt that the Adaptive Dance Programs will be successful, and fill an important and underserved group of aspiring dancers. “I’ve got it on the schedule for Fall,” she said, and if Hubbard Street runs its educational programs anywhere near how they run their professional dance company, the program, like everything else they do, will be a smash hit of the highest quality. Further details about Hubbard Street’s Adaptive Dance Programs and pilot sessions are available upon request, by email to adaptivedance@hubbardstreetdance.com, or by phone at 312-850-9744 X 133. 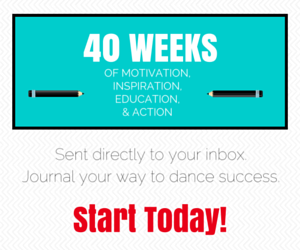 Note: The author has not professional or financial affiliation with Hubbard Street Dance Chicago.